Netflix And Spotify Taking Away BBC’s Audience? Use Netflix hacks and stream your favorite content anywhere. According to BBC’s annual report, the younger generation is more inclined to US-based online media such as Amazon and Netflix. These entrants come with greater creativity. And thus, earn greater financial power, and why not? Apart from its standard, Netflix comes with its own Netflix hacks, tips, and tricks that you can use to enhance your online experience. The BBC also warns that the media landscape is changing. And the newer companies like Amazon and Netflix are taking over the market. To add that element of security to your Netflix experience, choosing a VPN is a wise idea. A VPN helps to protect your data as you enjoy the latest Netflix shows. If you’re living in Australia, you should know that a Data Retention Law was passed by the Australian Senate. The law requires the Australian telecommunications and internet providers to maintain a record of their customers’ data for a minimum two years. The Australian Government can see this data. However, a VPN allows you to maintain your online anonymity. A VPN masks your true online identity, and keeps you anonymous as you watch online content, use Netflix hacks. A VPN lets you safely send, transfer and receive emails and browse through online media. You can unblock the restricted content and websites with Le VPN. E.g., there are some websites banned by the Australian Government, but worry not! Le VPN helps in bypassing such restrictions. Therefore, you can watch that favorite TV show or movie with high-speed internet connection and bandwidth. If you still want to remove certain titles from your search history, you can use one of these Netflix hacks to simply select that particular show and delete it from your Netflix history. We all know that we shouldn’t use public Wi-Fi for security reasons. The public Wi-Fi routers are rarely protected and can allow malware to enter your computer system. Using a VPN will work when you’re working with confidential information and access social media websites. As a Netflix hacks, you can use your VPN to download online TV shows and movies to watch when you’re offline without worrying about a Wi-Fi problem. A VPN ensures that no virus or other malware enters your system. Therefore, your data travels in a secure manner. This is one of the best things about using a VPN. If you’re a student in need of an Australian VPN server. The Le VPN Australian VPN service lets you access any Australian online content from all parts of the world. There are eight-hundred Le VPN servers in 114 countries. These servers are helpful for any international students in Australia to choose and watch online content that they choose to. Similarly, you can use Netflix hacks and unblock Netflix wherever you want to. Using a VPN makes Internet browsing and watching online content a simple business. Above all, it ensures protection for your online identity. 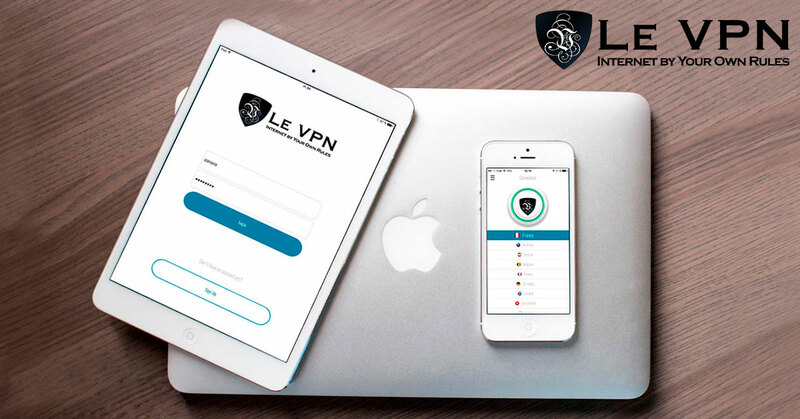 Le VPN is secure, reliable, affordable and fast. Additionally, configuring Le VPN is easy. You can subscribe to Le VPN at $2.90/month.